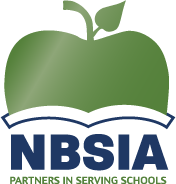 Frequently your site will be asked to provide companies or other agencies with evidence of your district’s insurance coverage, typically referred to as a “Certificate of Insurance.” NBSIA arranges for the certificates to be issued. * PLEASE NOTE : Certificates are not issued directly out of the NBSIA office and can take as long as five working days to produce. Please allow enough time when making a request. These certificates by themselves provide information only to the requesting party, including the types of coverage held, name of the insurer, expiration dates and limits. There should also be a description of the event being covered, and any other pertinent information. Should a request be made for an “additional insured endorsement,” a separate page is included with the certificate. This page endorses the requesting party onto the district’s policy, and should any loss occur as a result of the relationship between this party and the district, NBSIA will be called in to cover that loss. Obviously, this endorsement is not one that should be taken lightly, and a close review of the district’s agreement with the other party should be undertaken before the endorsement is issued. Fax or mail a copy of the contract/agreement between the district and the vendor to NBSIA. Indicate any special circumstances or requests. Provide the name of an individual at the district who can answer questions we may have. Upon receipt, we will review the agreement and begin processing the certificate. WARNING: Rental interruption protection is frequently one of the coverages required in a lease agreement or certificate of participation. This coverage is not automatic and requires specific endorsement of the leased property onto our policy. If your contract requires this coverage, please make this clear to NBSIA. PLEASE NOTE : special event insurance is a specialized sector of liability insurance and can be purchased through most major carriers. The references above are provided as a courtesy and should not be interpreted as an endorsement.